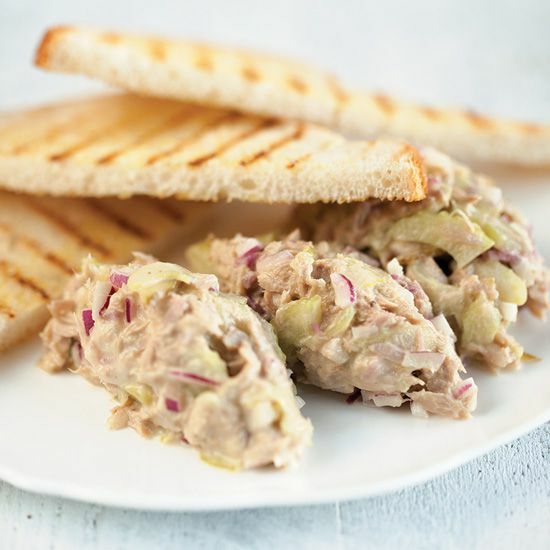 DRAIN the can of tuna well, then shred the pieces of tuna using your fingers or a fork. Try to get as little clumps as possible. Transfer to the medium-sized bowl. FINELY chop the red onion, we previously put up a little how-to on how you can dice onions like a pro. 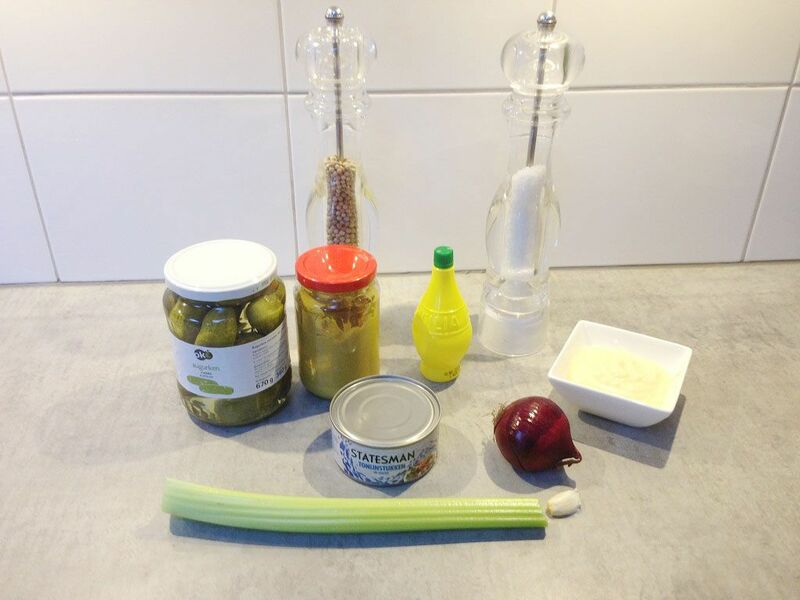 Read the article by clicking on this link: how to dice onions properly. CLEAN and mince the celery stalk. DICE the dill pickles or sweet gherkins and finely chop the parsley leaves. ADD the finely diced red onion along with the celery stalk to the medium-sized bowl and mix in 2 tablespoons of lemon juice. Add the diced dill pickles or sweet gherkins and finely chopped parsley. SEASON with salt and pepper, keep mixing using the silicone spatula until well blended together. FOLD in the mayonnaise and Dijon mustard until the mixture is evenly moistened. 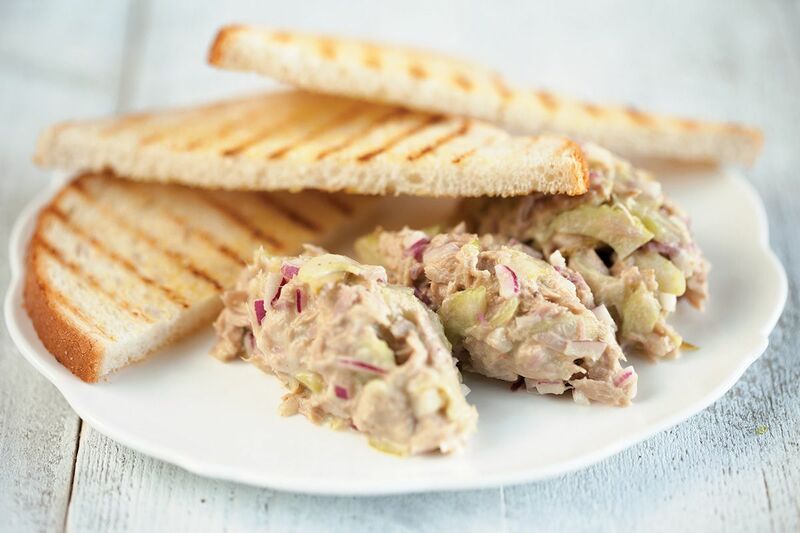 This classic tuna salad can be refrigerated when properly sealed for up to 3 days. 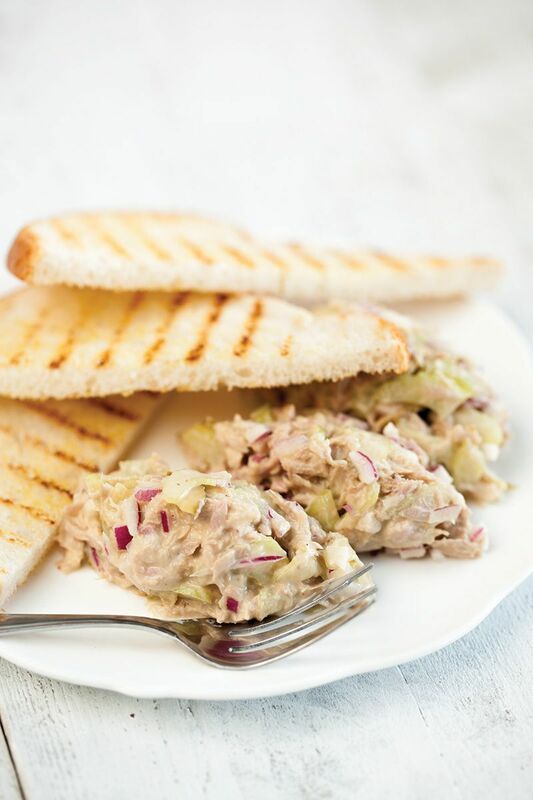 We’ve enjoyed this tuna salad with some plain white grilled bread, as seen in the pictures. Thank you for tuna recipes!